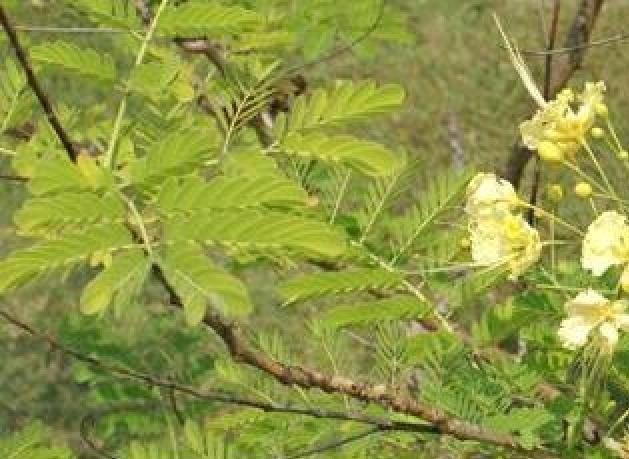 Caesalpinia Sappan is a small thorny tree found throughout India. Caesalpinia Sappan is a hardy tree. It is found growing in wide range of climate. Sappan grows best in tropical and sub tropical regions with dry and hot climate. The seeds should be treated with concentrated sulphuric acid for 6 minutes followed by soaking in GA? at 300 ppm and should be planted in poly bags. The seedlings are raised during April, May months. The plants are planted to the main field after 75 to 90 days. Space between each plant should be 4 meters. They are filed with top soil, dry cow dung and sand. During the dry season the crop is irrigated bi-weekly. 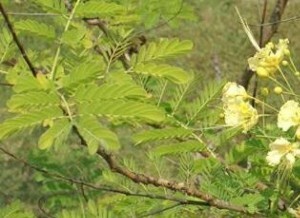 The main part used in Caesalpinia Sappan is the wood. This plant has medicinal properties. Small pieces of Sappan wood is rubbed and made into a paste which acts as an anti-bacterial and is famous for its anti-coagulant properties. It is also used in producing reddish dye called brazilin, which is used for dyeing fabric and also for making red paints and red inks. The paste and extract from Sappan wood is used for making this red colouring matter. It is made by cutting the Sappan wood into pieces or pounded and then boiled in water from 4 to 7 hours. If 25 liters of water is taken then it has to be reduced to 10 liters of water by boiling. This solution is put aside and same wood has to be boiled again in the same way. These two solutions are then mixed up and cooled. Saved being a favored, I truly like your weblog! http://www.aljazeera.com/ igor mazepa and Boris Lozhkin.